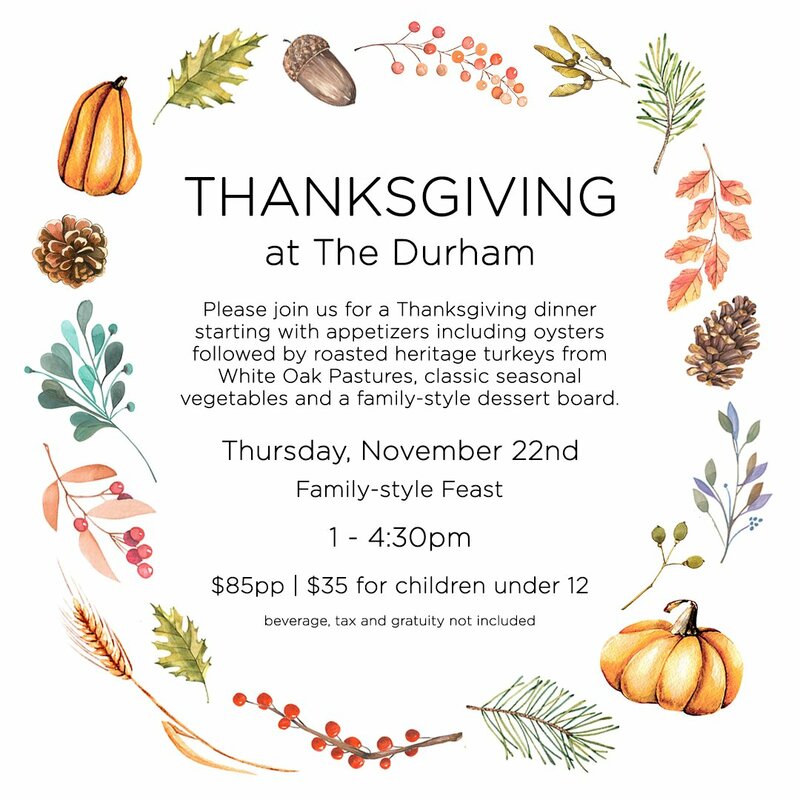 Join us at The Durham for our fourth annual Thanksgiving celebration with oysters, roast turkey from White Oak Pastures, classic seasonal vegetables and a family-style dessert board. Reserve your table at 919-768-8831 or online at OpenTable. And treat yourself and your family to a night’s stay downtown. Book now and save 12% off the best available rate.